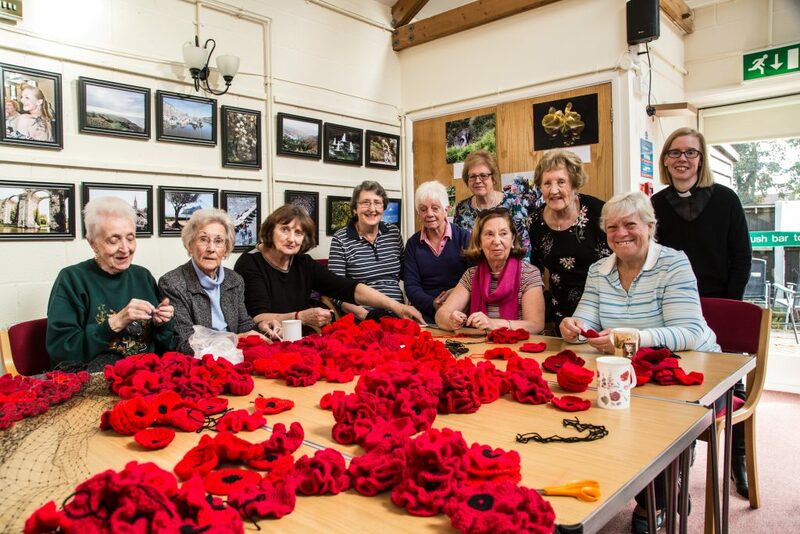 A team of craftspeople have been working on a poppy production line to create a stunning ‘poppy fall’ for the Memorial altar in Great St Mary’s Church, Sawbridgeworth. The talented team included members of the Great St Mary’s congregation alongside others from Hailey Centre for older people in Sawbridgeworth. 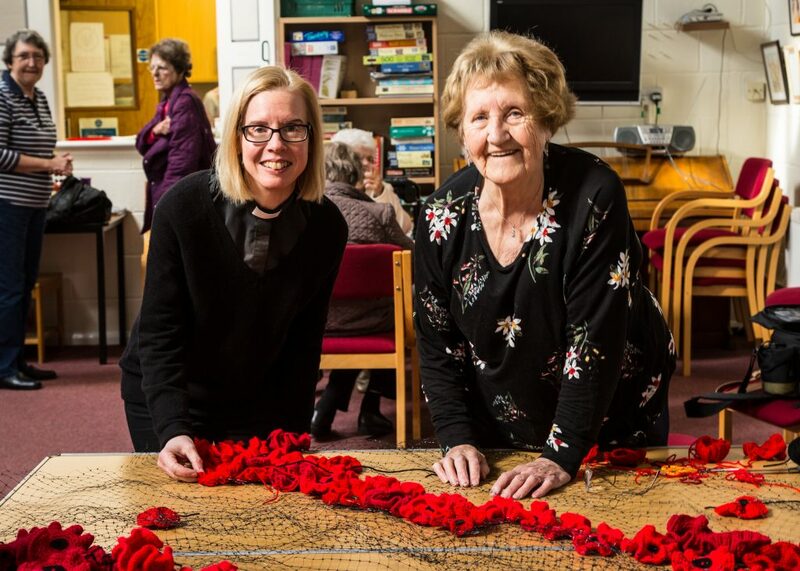 The completed ‘poppy fall’ will sit on the Memorial altar throughout this period of Remembrance, marking the 100th anniversary of the end of World War 1.